There is a new Live-Work community coming to the north end of Myrtle Beach between Grande Dunes Boulevard and 82nd Parkway near Cipriana Park. This 41 acre site will have a mixture of single family, townhomes, duplexes and live-work homes. The first gigabit community in Myrtle Beach that will keep you connected with fast technology is the new neighborhood of Living Dunes inside Grande Dunes. Home automation and green selections are standard in each home so that you can experience an intelligent and eco-friendly lifestyle. If you and your loved ones want to be on the cutting edge of technology, Living Dunes is the ideal place for you to consider as you search for your next home. Living Dunes is situated on 41 acres that includes 10 acres of lakes for you to explore and enjoy. The urban design incorporated natural beauty and an historic feel that makes your community one that you can enjoy with family and friends. There will be plenty of walking trails, green spaces, on-site community activities, and neighborhood events where you can meet your neighbors and make new friends. The homes inside Living Dunes will feature fiber-based internet connections, audio and display technology, monitoring and security systems, home automation, communications and infrastructure, and energy management that are sure to help control the cost of your energy bills. Phase I of the construction will have 61 homes that include 28 multi-family and 33 single homes along with an amenity center. With spectacular amenities, stunning landscapes, and gentle ocean breezes, a tropical lifestyle can all be yours in the paradise location of Living Dunes inside the stunning community of Grande Dunes, Myrtle Beach’s premier address for upscale living. You’ll have easy access to a myriad of outstanding restaurants, medical facilities, fitness centers, grocery stores, aware-winning schools, and shopping opportunities that provide you with a wide array of products and services. Living Dunes will be a neo-traditional community that features inviting front porches and a Low Country design that is not traditional in the Myrtle Beach area. A total of 218 residences will be constructed here that include single family homes, townhomes, duplexes, and live-work homes. With pricing ranging from $300s to $600s, you will be able to find exactly what you need in this innovative new neighborhood. The community will have a hammock park, a pavilion, a boardwalk, a waterfront café, and small parks where you can plan outdoor activities with your loved ones. If being close to nature and living in an area that has made a concentrated effort to protect the environment is important to you, Living Dunes is the community for you. 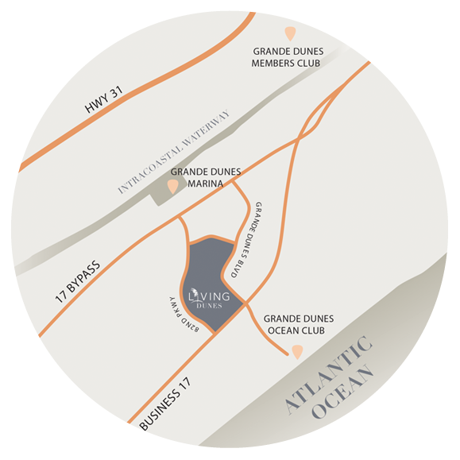 Located in the heart of Myrtle Beach and inside the prestigious community of Grande Dunes, Living Dunes is strategically located so that churches, beaches, and all of the businesses that you need to complete your daily errands will be within minutes of your home. With construction now underway, you can become one of the first homeowners in Living Dunes and help make choices that make your home a statement of your own personal style. 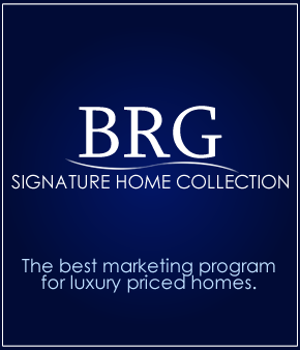 For more information on homes in the Grande Dunes area or what is to come in Living Dunes contact Beach Realty Group today 843-424-6900.